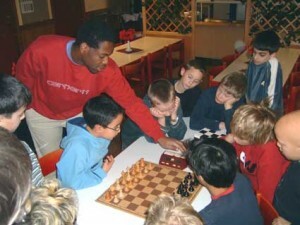 I have more than 20 years of trainer experience and enjoy to help ambitious students, young as old improve their chess. The level of my students are everything from beginners to International masters. My trainings suit all levels of players since every training is customized after the student and their level. We first start with setting up a goal for the training and then I analyze the students strong and weak parts of his or her game by looking at past games. After that a training plan for improvement is set up and executed. What the plan contains might differ a lot depending on the level of the student but for example if someone has a bad opening repertoire we construct a new opening repertoire that suites their playing style, if someone is weak tactically we train combinations by learning and practicing the different combination themes and so on..
My pedagogical skills are very well developed since apart from chess I am an educated language teacher in Spanish and English and holds a huge linguistic interest. Therefore I can hold the classes in many languages like English, Spanish, German, French, Swedish or Chinese. When i asked my 9 year old son why he likes Pontus’ training, the answer was “he teaches me new stuff that i don’t know”. Ever since we started skype training with Pontus, my son has developed an increased interest for chess and he started winning tournaments. He was placed in top position in most of the tournaments he played including State and National level. His rating went up rapidly by about 300 points in last few months. My 4th grader plays in the high school section nowadays!! Pontus explains concepts in a calm but interesting way, engaging the student through questions, making him guess the best move and by explaining pros and cons of each move. We love training sessions with Pontus, highly recommended! I started taking private lessons last summer, since then I have improved my rating and understanding considerably. My STD-FIDE rating have gone from 1433 to 1614, and will hopefully grow even more. I feel the lessons with Pontus has given me a good understanding of the game and the dynamics. I absolutely recommend to get Pontus as coach, and I look forward to improve my game even more with him in the future. Pontus has excellent skills in teaching his students, to put it plain: “He is a great teacher that makes the students put in the extra effort to learn and improve their play!”. Every week one of the highlights is my lessons with Pontus that I look forward to from the end of the last lesson. I myself have improved my play from being bashed by players around 1500 to keeping at least an even play with players around 1800-2000. I have gotten a much deeper understanding of the thoughts behind the game in just nine months, and I feel that in the near future I will advance my rating to at least 2000. Why do you actually need a trainer?